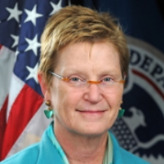 Dr. Tara J. O’Toole was confirmed as the Under Secretary for Science and Technology at the Department of Homeland Security on November 4, 2009. Raised in Norwood, Massachusetts, O‘Toole received a Bachelor of Arts degree from Vassar College in 1974, an M.D. from George Washington University in 1981, and a Master of Public Health degree from Johns Hopkins University in 1988. She completed an internal medicine residency at Yale University, and a fellowship in Occupational and Environmental Medicine at Johns Hopkins. O’Toole practiced internal medicine at Baltimore community health centers from 1984 to 1988, after which she joined the Congressional Office of Technology in Washington as a senior analyst, studying how health is affected by the pollutants generated by nuclear weapons production. The Clinton Administration recruited O’Toole in 1993 to become the Department of Energy’s Assistant Secretary of Energy for Environmental Safety and Health, providing the agency with advice on health protection for nuclear facility employees. In this capacity she was put in charge of an investigation into whether government laboratories and medical research centers injected civilians with radioactive substances without informing them of the dangers. She joined the Johns Hopkins Center for Civilian Biodefense Strategies in 1998, and became its director in 2001. O’Toole was a principal designer of “Dark Winter,” a June 2001 exercise in a fictional covert smallpox attack on the United States. She founded the University of Pittsburgh’s Center for Biosecurity in 2003, serving as its Director and CEO through November 2009, on a mission to improve the nation’s resilience to biological threats. During this period she was a principal organizer of another crisis simulation, “Atlantic Storm,” in which world leaders were called on to deal with an international bioterrorism attack. 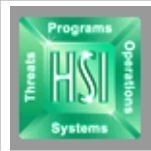 The simulation was held in January 2005. She also held the position of Professor of Medicine and of Public Health at the University of Pittsburgh and served on the board of directors of InSTEDD (Innovative Support to Emergencies, Diseases and Disasters). From 2007 through 2009 O’Toole worked as a consultant for CIA contracts, including those managed by the Scitor Corporation for the Office of the Director of National Intelligence. A controversy arose during O’Toole’s Homeland Security confirmation hearings when it was discovered that she had failed to disclose her role as an adviser to the Alliance for Biosecurity, a lobbying organization funded by the pharmaceutical industry, which, along with O’Toole, had been urging the government to increase funding for biodefense vaccines. The Department of Homeland Security claimed that the disclosure was unnecessary because the lobbying group did not legally exist since it wasn’t incorporated.